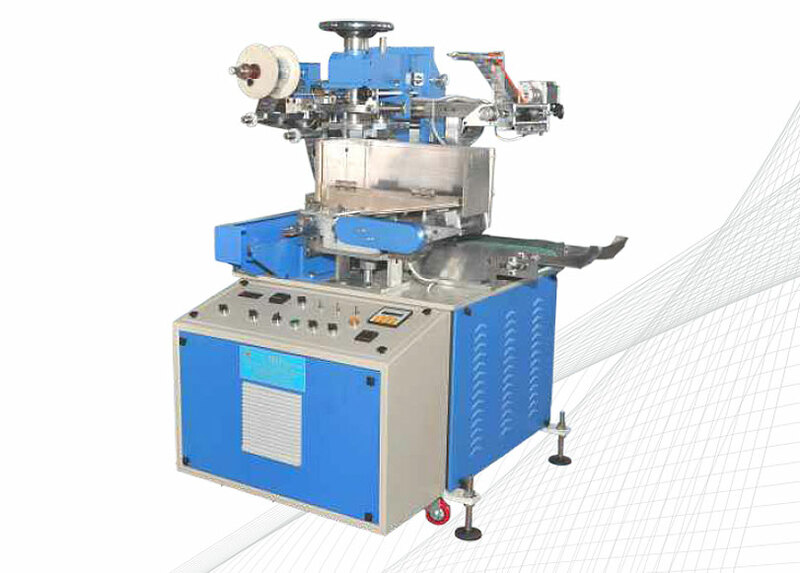 Automatic mechanical Hot Foil Transfer Machine for Pen Barrels and Cosmetic Containers. 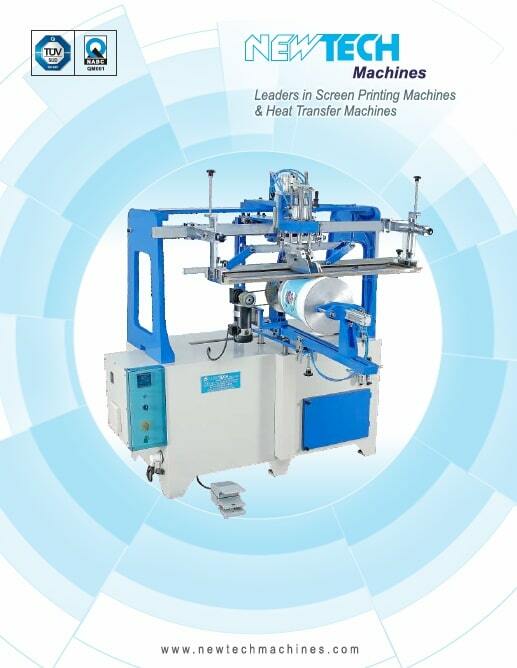 - Fully mechanical machine without need of compressed Air. - All mechanical cams and the main parts are precisely made by CNC machine. - Hopper feeder for automatic article loading. - Auto Ejection of article. 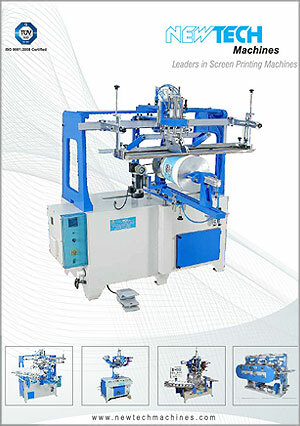 - High preecision photo sensor is used to monitor and control the feeding of foil with Dots.